In September 2017, UBC will welcome Susan E. Parker as University Librarian for a five-year term. Ms. Parker currently holds the role of Deputy University Librarian at the University of California, Los Angeles where she leads operations, human resources, assessment, budgeting, strategic planning, capital project planning and fundraising. 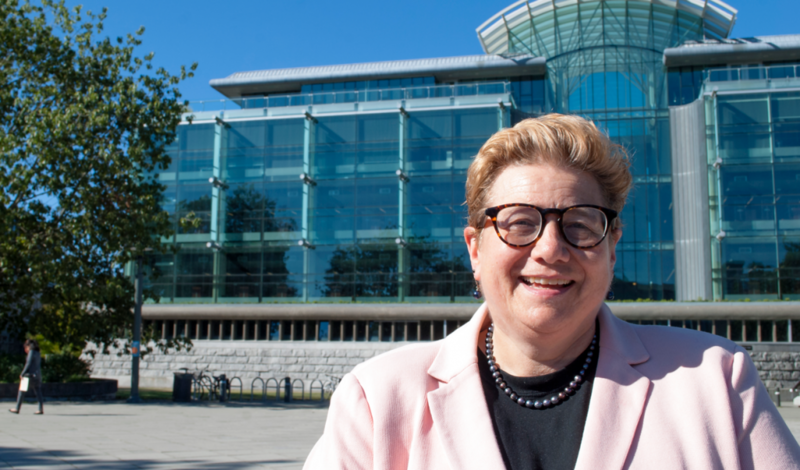 Ms. Parker will take over leadership of UBC Library at a pivotal time as the 2015-2017 Strategic Plan comes to a close and the library develops new strategic priorities in alignment with UBC’s new strategic plan. At UCLA, Ms. Parker led the processes behind the library’s strategic plans for 2006-2009 and 2012-2019. Ms. Parker holds a Bachelor of Arts degree in History and American Literature, a Master of Arts in History, and a Master of Library Science with a specialization in academic librarianship. Her research interests include leadership in academic libraries and higher education, organization theory, and the concept of “credible optimism” emphasizing the importance of positivity in the pursuit of realistic and sustainable goals. In July 2016 Melody Burton stepped into the role of Interim University Librarian, in addition to her role as Deputy University Librarian. Over the past year Ms. Burton has been focused on a “domestic agenda” to build relationships on campus and set the table for the next University Librarian. Ms. Burton will continue in this interim role until September 1, when Ms. Parker joins UBC. Read the full announcement from the Office of the Provost and VP Academic.